Wilson studied at North Bennett Street School in Boston, in their two-year cabinet and furniture making program. The instructors for the program are master craftsman, and they stress the attention to detail and quality, as well as the technical expertise necessary to make fine handmade furniture. After completing the course, Wilson returned to New Jersey, and set up a home and a store in beautiful Lambertville. Antick provides a showroom for Wilson’s wide range of furniture inspired by 18th century designs, from painted rustic beds, dressing tables and shelves to elaborately carved gaming tables and intricately inlaid sideboards. We also feature lighting (chandeliers and candle sconces), folk art and unusual toys. “Each piece of Early American furniture has something that raises it above its utilitarian function. The craftsman called upon all of his previous experience to build his next piece — From the simplest six-board chest to the most elaborate bombe secretary. Each piece shows the maker’s resourcefulness and skill; the customer’s budget; the materials available; the region in which the piece was made; and when its owners lived. A tea table could have been made out of mahogany with a raised moulded edge. Or it could have been made more inexpensively out of maple, which was painted black to accentuate the form of the legs and the silhouette of the aprons. Depending on where and when the table was made, it could have had Spanish, trifid, slipper, pad, or ball and claw feet. A tea table could have a tray top, a turreted top, candle slides, simple transitions at the knees, or a moulding that ran from one knee to the next, the full length of the apron. 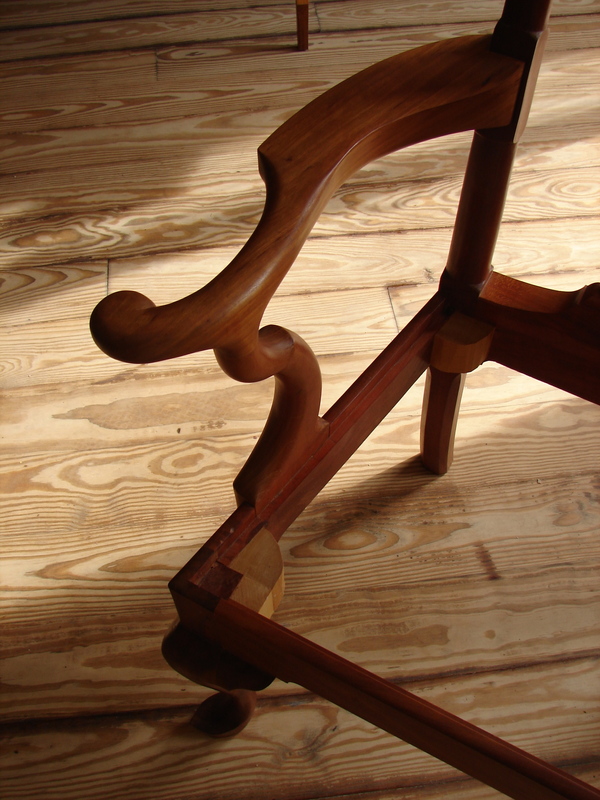 Legs could have been turned, straight or cabriole, carved or plain. Each piece was made to suit the client’s exact wishes. In America, the age of the cabinetmaker begins with the William and Mary, or early baroque, period. 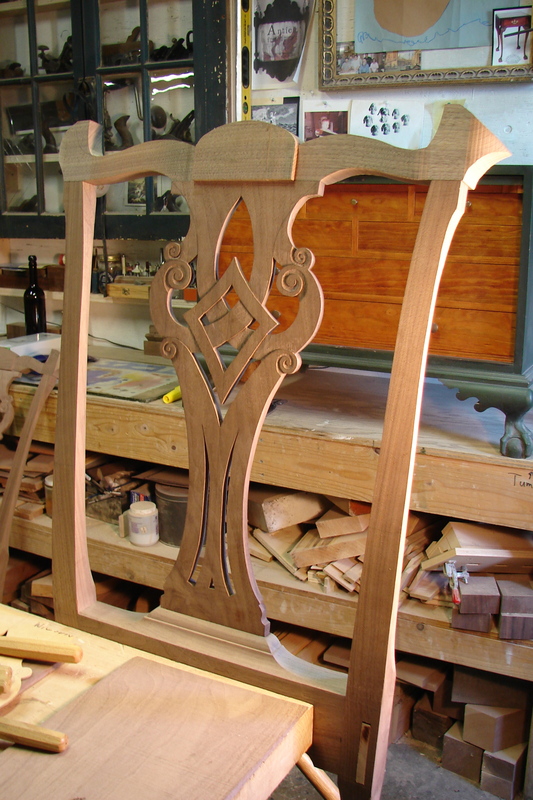 Before that time, furniture was constructed in much the same way that houses were, using green wood and no glue. The cabinetmaker came into his own with the use of sawn dry lumber, veneer, inlay, and dovetail construction. The craftsman continued to build on the frame and panel construction of the 17th century through the Queen Anne or late baroque, the Chippendale (rococo), the federal, and the neoclassical periods. After the industrial revolution the machine advanced into a greater role in the ultimate appearance of the piece. The tide turned from high skill/low tech to high tech/low skill.